Interns won’t want to miss the Field Trip to Santa Ana Native Plant Nursery! Contact Gailen Zody to sign up and get detailed information. 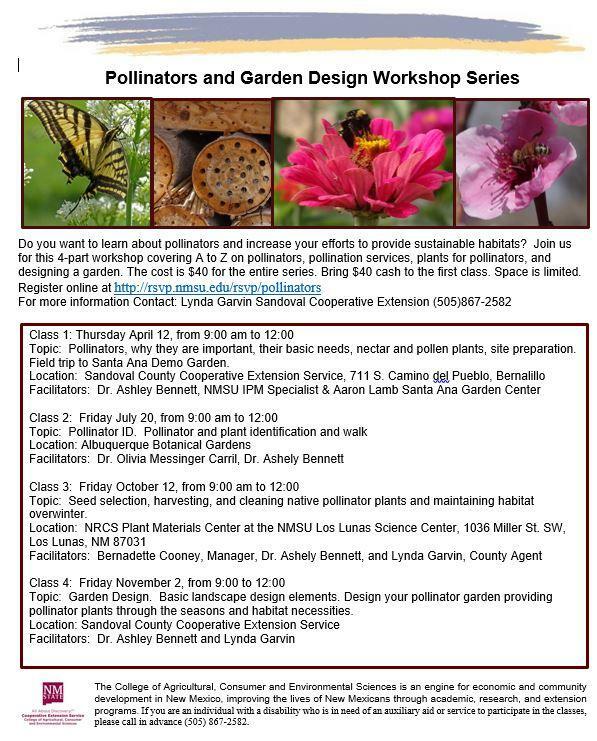 Pollinators and Garden Design Workshop Series @ Various locations - see class list. September meeting of the Sandoval County Master Gardeners Board of Directors will be held in “The Conference Room” at the Loma Colorado Main Library. SCMG will be selling T-Shirts, Water Bottles, Grow Bags, and tickets to the 2018 Master Gardeners Conference. Sandoval County Master Gardeners will hold a plant sale at the Corrales Growers Market.